Standing in solidarity – the global movement for reproductive justice. Working in solidarity with other groups here in Ireland and internationally has connected us to the broader movement for reproductive rights. However, as we campaign for abortion rights in Ireland and challenge some of the most restrictive laws in Europe, we can sometimes feel isolated in our struggle. 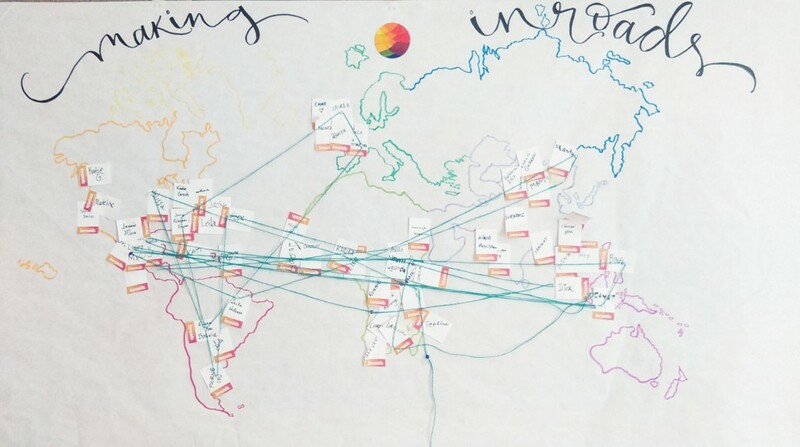 Inroads, is a global network of groups working to challenge abortion discrimination and stigma held their Global Members Gathering in Bangkok, Thailand earlier this year. The Abortion Rights Campaign was privileged to attend. It was five days of workshops, discussions, strategising and most importantly making connections with groups from all over the world.The Inroads Global Members Gathering was a powerful reminder that we are an integral part of a global movement for reproductive rights and justice. We sang, we laughed, we cried! We stood in solidarity with the people of Sierra Leone by making a short video during the last days of the meeting urging the government to pass their abortion bill. We discussed how our work could be more inclusive of LGBTQIA communities. We connected with other activists in Europe, planning how we could work together and support one another. We shared our work and had the space to learn from each other. Even though we work in different contexts so many of the challenges we face are similar; from discriminatory laws to silence and stigma surrounding women’s experiences of abortion. Sharing our resources is crucial to address these challenges and strengthen our movement. 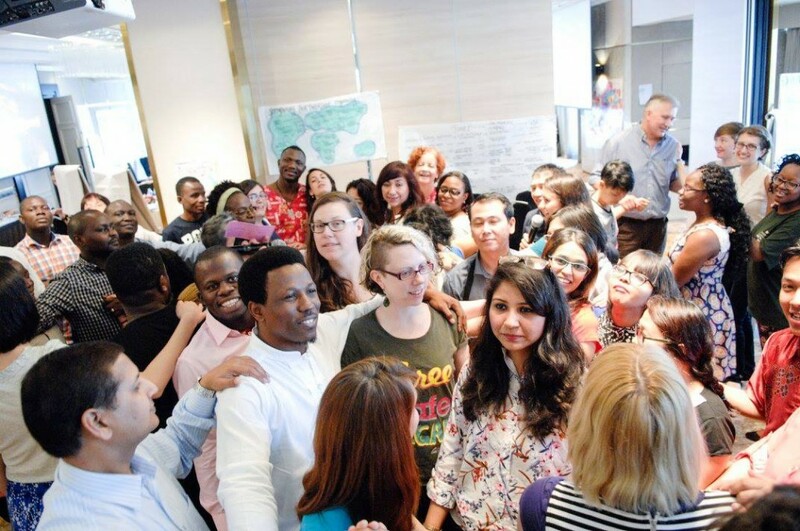 We facilitated two workshops and share exercises from our ‘Talk to your TD’ training and our Community EducationProject with activists from Asia, Africa, Europe and Latin America. When the Abortion Rights Campaign developed our election pack this year, we didn’t imagine that activists from Nepal, Mexico and Sierra Leone would take them home to use for their work on political education. We also had the privilege of learning about community education in Nepal and Benin, student organising and storytelling in the US, social media campaigning in India and legal advocacy in Guatemala, to name just a few. We shared our experiences of campaigning for legal change and explored how legal change is not enough. For example, even though abortion is legal in Pakistan and Ghana people still get backstreet abortions because there is a pervasive stigma surrounding abortion as well as a lack of awareness that abortion is legal and accessible. In Nepal, which has a progressive legal framework, abortion is still not accessible due to lack of providers. These examples underscore that in addition to challenging our laws, we need to challenge our cultures which judge and shame women. Abortion stigma comes in many forms, but at its root, judgement and shame are used to exert power over and – control women’s bodies. We stood side by side with people from India, Poland, Kenya, Bolivia, Benin, the US and England performing the Renunciation, our creative arts performance which tells the stories of the twelve people a day trying to access abortion in Ireland. As the lines “People of Ireland, raise your voices. We are all worthy of our right to choose” reverberated around the room the global connections weren’t just strings on a map, they felt very real.